Hey Mama, Welcome to our Mothers Circle! When you join our circle you will be surrounded by like-minded mothers who are in a similar situation as you, with similar aged babies who are seeking support, friendship and above everything else a safe space to discuss really important motherhood topics! The journey into motherhood is a wonderful experience, one that often changes the relationship with our partner and our current friendship circles. We can begin to notice a real shift and crave deeper connections with mothers who understand what we are going through. I believe in Mothering the Mother and what better way than to be supported by other mothers! So come and learn more about how we can support you! Once you become a member of the circle you are welcome to start coming during your pregnancy and continue when your baby is born. You are entitled to two free pregnancy circles so that you can get to know the mothers in the circle and continue on through your motherhood journey together. This will also give you a little more insight into motherhood (and or adding an extra baby to the mix if you already have one or two!). We will start each circle session by connecting and debriefing. It’s important for us to deeply connect with each other as mothers and seek support and reassurance from the circle. Often we find that we are going through similar things at home (we just think we are the only ones!). You will have a chance to ask any questions or seek our resources/ information for any challenges you are facing. (and any other challenges along the way ) – if we can’t find the solution in our sessions I can connect you with someone who can help you. I have a long list of wonderful people who know what they are doing, which can save you plenty of time trying to find the right fit! We will enjoy some warm tea or coffee to help release some oxytocin (the love drug) and help you settle into the session. A brunch or afternoon tea will also be provided so that you can grab some nourishing food (as I know how hard it can be to get in some food with a little one). Each session will end with a nourishing meditation which will help you to feel supported, nurtured and loved. It’s important that we learn to deep breathe and say positive affirmations as this helps us to be calm, connected and present for our families (and our selves). 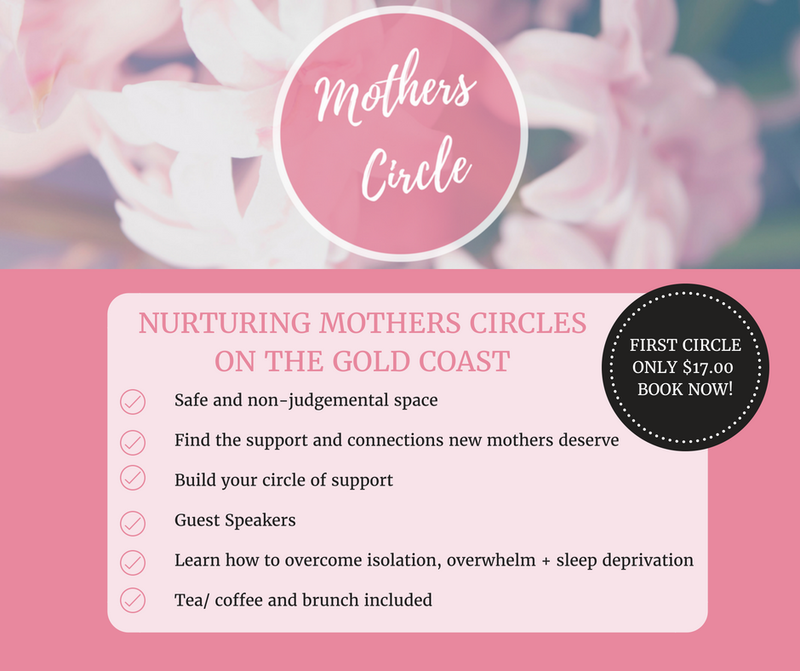 I would love to see you at our first mother’s circle being run in September – to find out more and learn more about this exclusive year-long program designed for newborn mothers who want to experience connection, support and learn to mother their way! 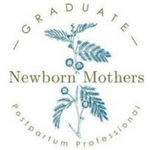 Grow into motherhood in this safe space that has been created just for you! 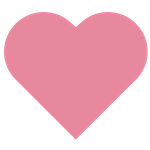 ” Ashley is incredibly supportive, knowledgeable and kind-hearted. I am so grateful to have her in my mama tribe. I feel like I can talk to her about literally anything and she holds space with complete love and compassion”.